Hi, I’m George Pepperton. I love being a Pepperton, I love adventures and I love making lists. How to tell if you are a Pepperton 1. Your mum is an incredible inventor. 2. You have three older sisters, and a brother the size of a LEMON. 3. You already know how your family caused CHAOS at school… 4. 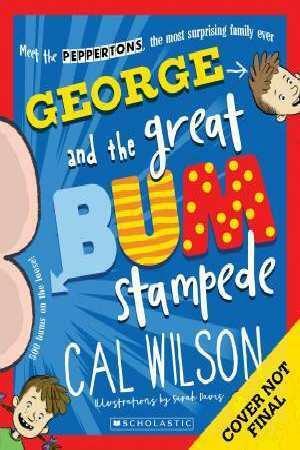 And a HUMUNGOUS BUM STAMPEDE! If you are not a Pepperton and you don’t know what happened…READ THIS BOOK TO FIND OUT!